Ooni’s ex-wife appointed a board member of the Beirut fashion council – Royal Times of Nigeria. 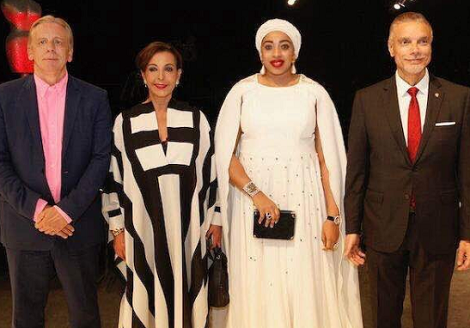 The ex-wife of Ooni of Ife, now Queen Zaynab Otiti has been appointed a board member of the Beirut fashion Council. Queen Zaynab made the announcement on social media. she said, ‘Honoured to be a board member of the Beirut Fashion Council with His Excellency Ambassador Alex Lenaert Belgium-Ambassador to Lebanon, Mr Zikar Maalouli of Beirut fashion organization and Mrs Raghida Dergham. Looking forward to merging my culture, arts and fashion here in Beirut,’.